The holidays are a truly magical time of year. That said, a lot of work goes on behind the scenes to make Christmas special. Before the stockings can be hung by the chimney with care, the box with the Christmas ornaments needs to come down from the attic, the Halloween and Thanksgiving decorations need to be put away, and the house needs to be ready for all your holiday gatherings and guests. We here at ABC Home & Commercial Services want to help you get ready for the holiday season. We’ve compiled a list of Smart Christmas Decorating Tips so you can spend your precious time doing the things that matter most. If you need a helping hand this holiday season, know that you can count on us. From all of us here at ABC, we wish you a Christmas full of special memories. Nothing screams holiday cheer like warm chocolate chip cookies, decorative lights, and, of course, festive music. And while the radio constantly plays beloved classics like Mariah Carey’s “All I Want For Christmas Is You” and one of the many popular renditions of “Rockin’ Around The Christmas Tree”, we wanted to think outside the box this year. That’s why we put together our first-ever holiday playlist and included a few Texas-themed tunes to set it apart from the rest. Grab a cup of warm cocoa, pull up a seat by the fire, and listen to our playlist below. This is a holiday treat you won’t want to miss! 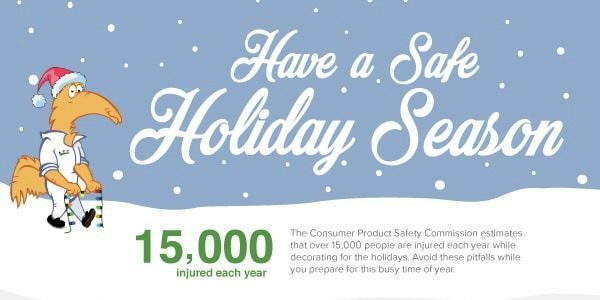 The Consumer Product Safety Commission estimates that over 15,000 people are injured each year while decorating for the holidays. Whether it’s because of a fall from a ladder, a fire linked to your Christmas tree, or a mishap experienced while putting up your Christmas lights, an injury is the last thing you want to spend time having to deal with during this busy time of year. 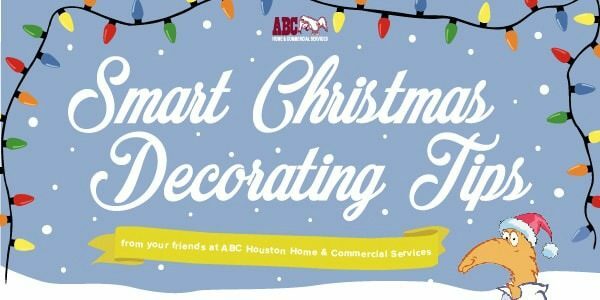 ABC Home & Commercial Services wants to help you get ready for the holidays. Make sure that you stay safe this holiday season by following our list of dos and don’ts for using ladders, decorating with Christmas lights, and keeping your pets and children safe. From all of us at ABC, we wish you a joyous – and safe – holiday season. We love all the beautifully decorated homes in this city—especially during the holiday season. Don’t you? Whether they’re varied in color or snowy white, these arrangements put a smile on our faces. There are many trends and options currently available to showcase your home before your holiday gatherings begin and your out of town guests arrive. Are you considering laser lights, or curious about what’s involved in setting your lights to music? We’ve compiled a list of outdoor Christmas decorating ideas to help you decide what options are the best for your home. There are many benefits to LED lighting, so it’s no surprise more people are reaching for them instead of traditional string lighting. School has just started, and Halloween is still around the corner. Savvy homeowners know that the first signs of autumn mean it’s time to start thinking about holiday light displays. To properly deck your home with lights and festive decorations takes time and planning. To get you in the proper holiday spirit, let’s look at some of the best Christmas lights in Houston and the surrounding areas. First of all, let’s explore a few noteworthy public displays in the area (some of these have an entry fee). Zoo Lights at the Houston Zoo (Hermann Park, begins in November): Each year the Houston Zoo hosts a dazzling light display with animal sculptures, lights in the trees and colorful projections. Tickets can be purchased online or at the gate. Here at ABC Austin, we love the summer time. We’re suckers for a good backyard BBQ, weekend swims at Barton Springs, and of course, spotting the weird bugs that make their presence known around the city when the mercury is high. But with the kids heading back to school and cooler temperatures (and evidently this year, lots of rain?) around the corner now is the perfect time to focus on a backyard redesign. We’re ready to roll up our sleeves, be creative, and—finally—start working on a new backyard we’ve been dreaming of all summer long. 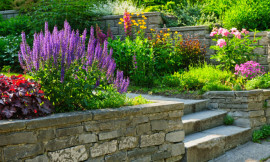 So whether you have a large yard or just a small space to work with, we have a list of ideas that are sure to get your green thumb moving. Here are a few of our favorites ideas. The holidays are coming up fast. Are you ready to hang your seasonal lighting? Get started with these tips for creating a display that adds a little flair to your San Antonio neighborhood. Start by deciding what you want to convey with your display. Do you prefer simple and elegant, or would you rather go all out with every holiday decoration you can think of? Are you aiming for a colorful look or basic white accented with accessories such as wreaths? What you choose will determine the type and quantity of lights you’ll need as well as any additional pieces such as frames or stakes. Austin knows how to turn Christmas into a dazzling season, so why not put a special glow in your landscape this holiday season? Think beyond inflatable snowmen this year and turn your front yard into a holiday fantasy land. Threading lights through the trees always adds seasonal cheer to the front yard, but why stop at a few strings? Simple silhouettes of trunks and branches come alive when you wrap trees with brilliant strands of LED lights. Bottom-to-top trimming takes a little time, so you might opt for the easier effect of glittering icicles created from drapes of fairy lights. These tiny LED cousins are the size of rice grains, and their sway on an evening breeze brings magical life to the smallest saplings. Give tall evergreens and pines the full treatment with big, beautiful bulbs. Nothing makes your home quite as spectacular during the holidays as a dazzling outdoor lighting display. Whether you go with brightly colored rope lights or classic white icicles, lights always add that extra touch of cheer. If you love having a decorated home but aren’t looking forward to the hard work of hanging your holiday lights this year, consider hiring professionals to do the decorating for you. What’s New in Holiday Lighting Trends? Holiday lighting trends tend to change every few years. The blow-up lawn ornaments and tangled icicles of last year are giving way to new, sleeker lighting displays that make the most of sound and motion. You’ve probably seen spectacular timed displays on the local news or online. Professional lighting installers can easily create one of these stunning light, music and motion displays for your yard. During the holidays, thousands of Austin homeowners put up festive Christmas lights and decorations to spread good cheer throughout their neighborhoods. As lighting technology has improved, so have the quality and complexity of these displays. Good planning skills and help putting up lights are the only things that homeowners need to create outdoor displays that will truly impress. You have many options when it comes to designing holiday lighting for your home. You might want to stick with classic red, green and gold. Maybe you want to try bright, eclectic lights for a more contemporary feel. No matter the type of lighting display you want to pull off, start by taking a good look at your home. Your outdoor decorations should fit the general architectural style of your space. Choose decor that won’t clash with your home’s exterior but will complement its look.